The temperature in Leh, Jammu and Kashmir has been low at night for the past one week because of fresh snowfall in high altitude areas and rains in plains, Met officials said. 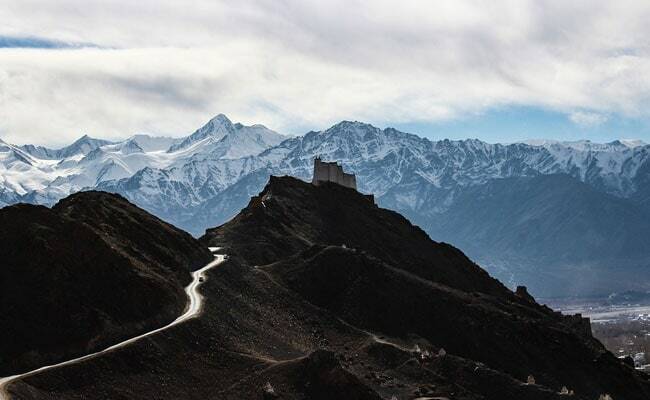 Leh saw this season's coldest night on Sunday with the minimum temperature at minus 15.7 degrees Celsius. Leh recorded this winter season's coldest night on Sunday with the minimum temperature dropping to minus 15.7 degrees Celsius, followed by minus 11.4 degrees Celsius in Kargil, Met officials said. In Jammu, the coldest temperature was minus 1.2 degree Celsius in Bhaderwah of the Doda district. Towns including Batote recorded 1.5 degree Celsius, Banihal was at 3.5 degree Celsius, Jammu city was at 4.4 degree Celsius and Katra base camp was 6.4 degrees Celsius, the Met department said. Early sunshine provided some relief to the people of Jammu and other parts as the temperature during the day hovered around 22.0 degree Celsius. The night temperature in Kashmir's Srinagar settled at minus 4.8 degrees Celsius, while Qazigund recorded minus 5.2 degrees Celsius, Kokernag was at minus 4.9 degree Celsius, Kupwara at minus 5.8 degree Celsius, Pahalgam at minus 8.3 degrees Celsius, Gulmarg recorded minus 8.3 degrees Celsius on Sunday night, Met officials added. The Met office has forecast mainly dry weather for the week ahead in Kashmir. The temperature in Leh, Jammu and Kashmir has been low at night for the past one week because of fresh snowfall in high altitude areas and rains in plains, officials said.